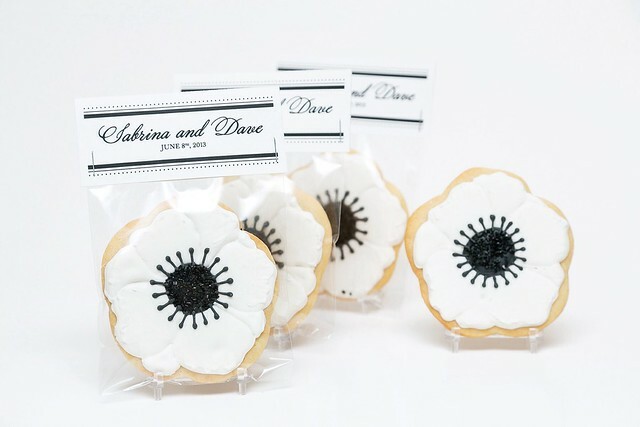 These cookies were wedding favors (back in, ahem, June) that I designed to coordinate with the bride's favorite flower that she carried as a theme throughout her wedding decor -- black and white anemones. 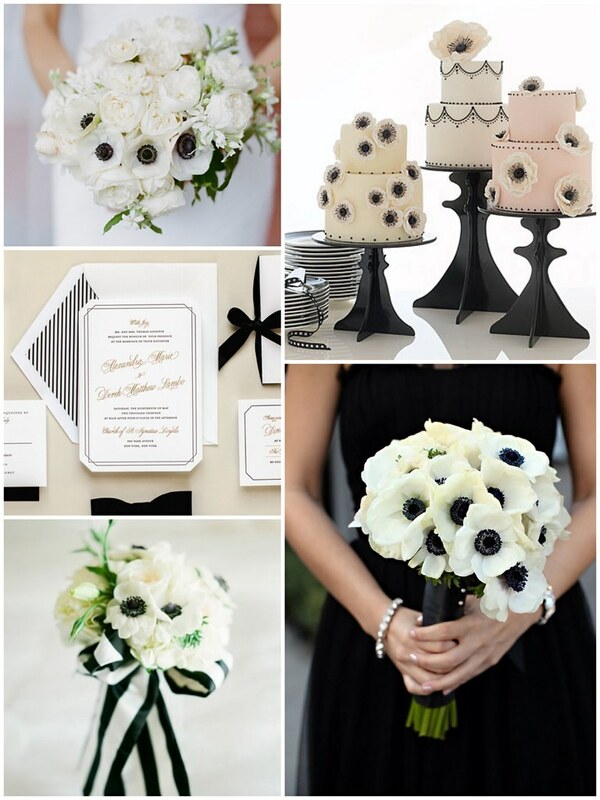 Here are some black and white / anemone wedding pretties for added inspiration. The tags were designed to match the style of the bride's wedding invitations, Tuxedo Chic designed by Jill Smith via Wedding Paper Divas. Here are the cookies! I used a little brush embroidery technique on the petals to give them a little bit of delicate detail. 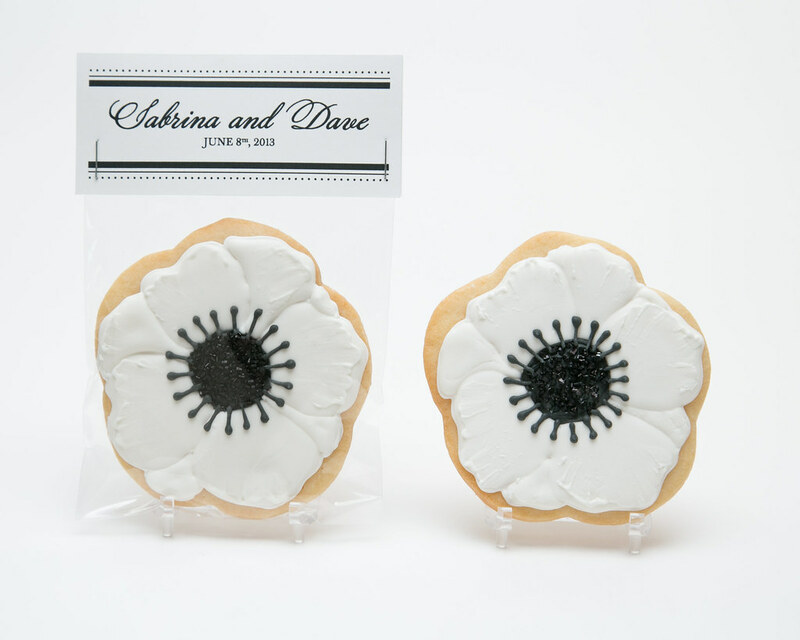 I also made my own cookie cutter for these custom cookies. 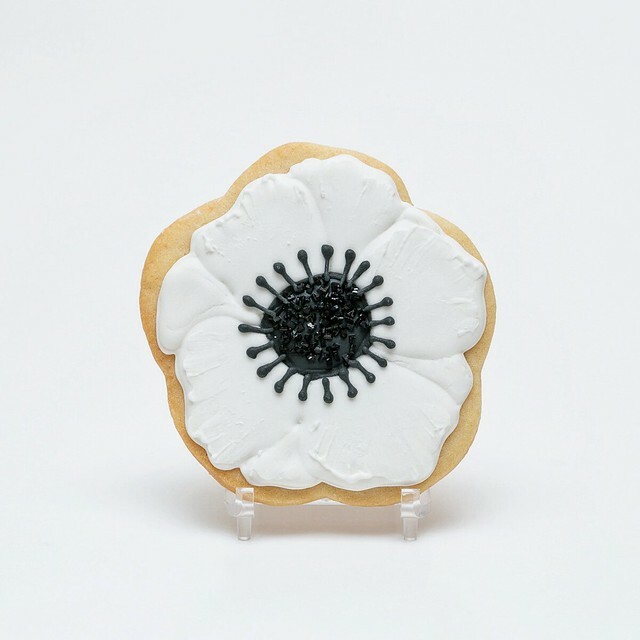 The middle of the cookie is filled with black sprinkles, also for additional texture and depth and they are yummy too. These cookies (130+ of them) were a true labor of love, but I was so excited about them as they began to come together just as I envisioned. I was exhausted afterwards but in the most rewarding way. 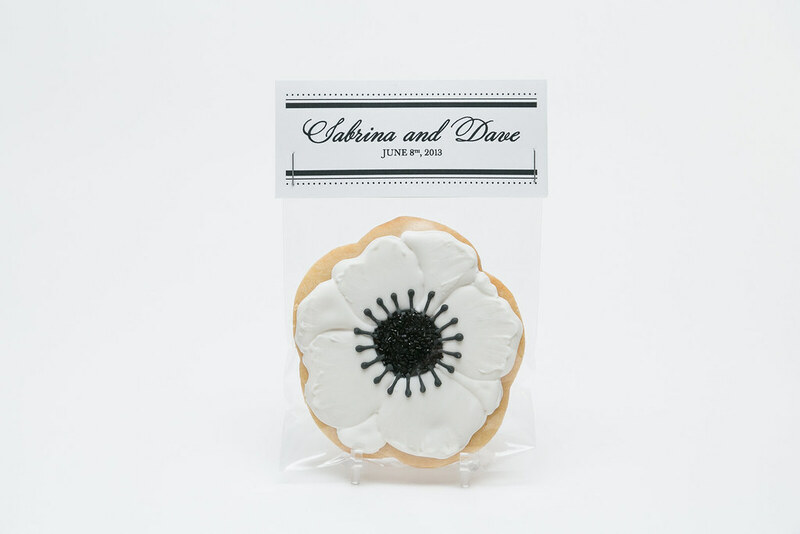 It was especially awesome because I got to hand them off personally to my bride, Sabrina, and she loved them and I didn't have to ship them. 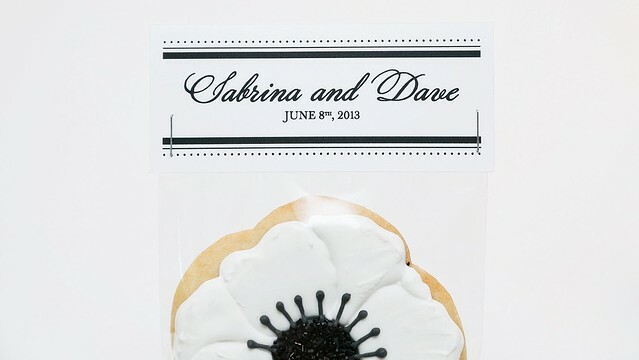 :) Thanks, Sabrina, and a big Congrats to you and Dave!